Universal Studio's revived their Horror movies during the 1940's to great success. This group of five motion pictures contains only one entry by that studio, but illustrates that other major and minor studios took their queue from Universal and entered that market. For the record Universal was never considered one of the major Hollywood Studios during the time it was run by it's founder Carl Laemmie and afterwards his son. When a lover of Werewolves in motion pictures during the 1940's thinks of them. They naturally turn to "The Wolfman" from Universal Studio's starring Lon Chaney, Jr. as the tragic Lawrence Talbott. The picture was released two days after the Japanese navy bombed Pearl Harbor on December 9, 1941, but this wasn't the only Werewolf film made during the decade of the 1940's. There were actually 12 motion pictures. 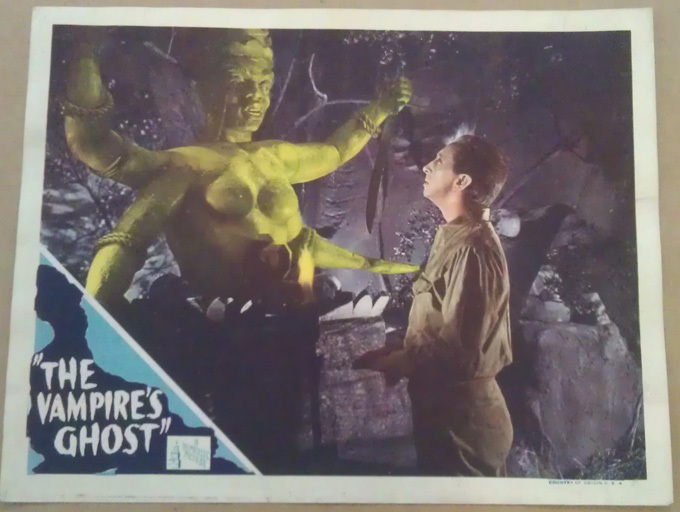 Probably the most famous non-Universal Studio film was Columbia's 1943 "The Return of the Vampire". More for the fact it starred Bela Lugosi as the title character who has a servant that just happens to be a werewolf. 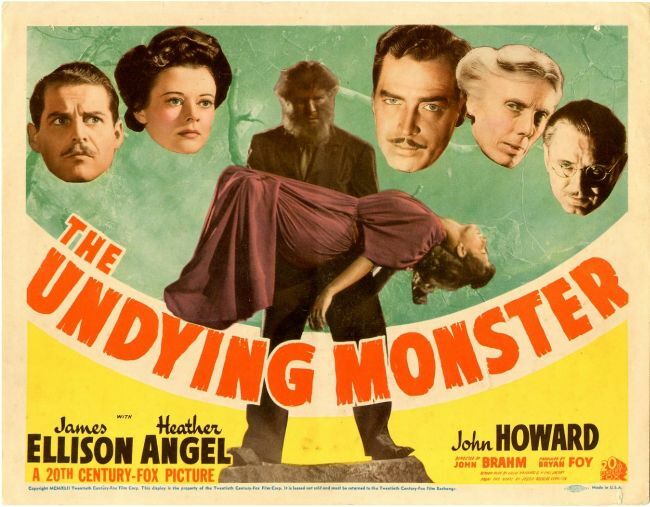 "The Undying Monster" comes from 20th Century Fox and was released November 27, 1942. The motion picture was based upon a classic horror novel from 1922 written by Jessie Douglas Kerruish entitled: "The Undying Monster: A Tale of the Fifth Dimension" and tells the legend of the cursed Hammond family. 20th Century Fox studios gave their producer Bryan Foy a very small budget to work with. The picture version of the novel ended up being only 60 minutes in running time. The film obviously had to leave out a lot of the 229 page novel's story, but it does maintain the essence of the original work. As a result of that permitted budget the screenplay had to be overly talky at points to get in all the needed background information to the viewer. Director John Braham's worked with what he had and there are some very well done scenes even if he incorporated stock footage of clashing waves upon cliffs and smartly speeds up the film in a couple of scenes at the climax. Two years after this picture Braham would direct the classic Merle Oberon, George Sanders and Laird Cregar motion picture about Jack the Ripper "The Lodger" and if you are familiar with "The Undying Monster". One can see how his technique was developed that made "The Lodger" such a memorable psychological thriller. The plot of "The Undying Monster" is about the Hammond family who have cursed since the Crusades. Different male members of the family since then have committed suicide, or died mysteriously. The local villagers whose families have lived in the area for generations know the truth. The original "Undying Monster" from the Crusade period still lives within the family's estate. The main roles in the film are played by James Ellison as Scotland Yard Detective/Scientist Robert Curtis. He effective even if he over acts somewhat at times. Heather Angel portrays Helga Hammond who does not believe in the curse. John Howard plays Oliver Hammond her brother. The film plays like a mystery and with the characters of Robert Curtis and his assistant Christy played by Heather Thatcher below on the left. We may have 20th Century Fox recreating their own version of Basil Rathbone's Sherlock Holmes and Nigel Bruce's Dr. Watson from the studio's two 1939 motion pictures "The Hound of the Baskervilles" and "The Adventures of Sherlock Holmes". In the original novel Christy is called Luna Bartendale and she is actually the main investigator into the supernatural events. On the right in the still below is Bramwell Fletcher as Dr. Jeff Colbert who may know a little more about the curse than he is letting on. "The Undying Monster" starts out with an attack on two people by some unknown creature. Scotland Yard sends Detective/Scientist Robert Curtis and his assistant Christy to investigate. They arrive at the Hammond Estate, because one of the two is Oliver Hammond and the other, a young women, is in a coma. Like Holmes, Robert Curtis believes in cold logic and facts. He will hear nothing about a family curse and a legendary monster. Sounds also like Conan Doyle's "The Hound of the Baskervilles" and there is a husband and wife set of servants very similar at times to the Barrymore's of that story. However, Curtis and others will hear chains clanging and he will view a set of chains seemingly moving by themselves. To his mind this all means nothing more than somebody is trying to scare the Hammond family and the locals into believing "The Undying Monster" is alive and well. Then there is a room that has been unused for centuries that three years before Helga and Oliver had locked. Upon investigating the Hammond Family crypt he finds a statue of some "Dog like" creature standing next to a statue of the Hammond ancestor from the Crusades.. While Robert Curtis continues to investigate. The second victim with Oliver dies and a Coroner's Jury rules it was by a person, persons or creature unknown. Examining the victim's body Curtis discovers what appears to be a wolf hair, but as he is looking at the hair in his laboratory with Christy and a Scotland Yard Inspector it disappears in front of him. Helga Hammond is kidnapped by the creature and Curtis and the police pursue. What happens next is for my reader to discover for themselves.. At the time of this writing "The Undying Monster" is available on the internet for free. Enjoy this overlooked little film. Another area this picture did not have was following the Motion Picture Production Code. What those cuts by RKO could not completely remove is a subtle sense of homosexuality running through the picture for example. In short "The Seventh Victim" was highly controversial for its time and its studio being run by Howard Hughes. This film noir/horror motion picture starred "B" actor Tom Conway as Doctor Louis Judd. Conway was seen in both Val Lewton's "The Cat People" and "I Walked with a Zombie". In 1942's "The Cat People" Conway was also Dr. Louis Judd, but he is killed. Even though that film was made two years earlier than "The Seventh Victim". Val Lewton fans keep speculating about the character and looking for the connection between both motion pictures. Playing Jacqueline Gibbson was Jean Brooks. 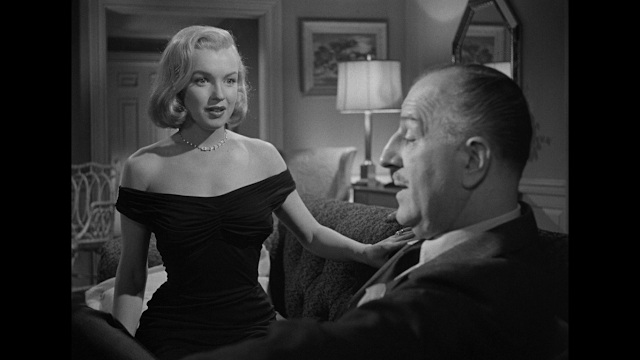 Brooks was in Val Lewton's "The Leopard Man". Playing Francis Fallon was Isabel Jewell who also appeared in Lewton's "The Leopard Man". Jewell is on the right in this photo from"The Leopard Man". Mary is a student at Miss Highcliff's boarding school whose older sister Jacqueline pays her tuition. Mary is informed that for six months that tuition has not been paid and that to stay on she will have to work for the boarding school. What is of more concern to Mary is that her sister has been missing for that same time period. Mary leaves the school and goes to New York City were Jacqueline had a very successful cosmetics business. She discovers her sister suddenly sold it eight months previously to the manager and a friend of her sisters tells Mary about an Italian Restaurant Jacqueline was last seen at. Above the restaurant is Jacqulines strange apartment. The apartment is almost totally bare of furnishings, but hanging from the ceiling is a noose with a chair directly below it. As if to stand upon and hang yourself. Mary's investigation will lead her to Jacqueline's secret husband, a failed poet named Jason, a mysterious psychiatrist Dr. Louis Judd and a Satanic Cult called the Palladists. The name of an actual Satanic society that has been referenced in France since 1891. Mary hires a Private Detective to locate her sister. He is stabbed to death under mysterious circumstances. The poet Jason is he friend, or something else and who is Mr.Ward really? Dr. Judd will take Mary to Jacqueline. but why has she been hiding and what does the film's title mean to her? When everything seems to be clearing for Mary. Jacqueline is kidnapped by the cult determined to kill her, but cannot themselves because of "the rules" of the Palladists established at its founding. As to the ending I admit to agreeing with Bosley Crowther. The film should have started with the end. Which I will leave for my reader to discover. 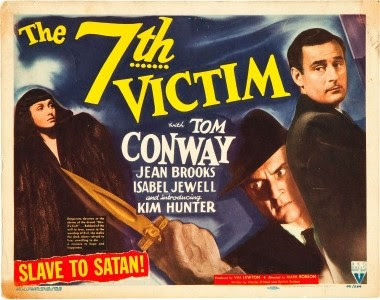 Like "The Undying Monster" as of this writing you can find Val Lewton's "The Seventh Victim" free on line. For those, like myself, who are fans of Val Lewton's work. The attached link will take you to my article on the Producer/Director. Read the credits for this Universal Studio's motion picture and they say the film is based upon the play by Edward Locke of the same name. The original play was written in 1909 and exactly what it was about I can not confirm. However, the 1930 movie, also by Universal Studios, was about an Italian girl who dreams of becoming an opera singer. In 1943 Universal released "The Phantom of the Opera" starring Nelson Eddy, the opera singing actor was attempting a comeback, Susana Foster and Claude Rains in the title role. This was a big budgeted remake of Lon Chaney's silent classic from 1925 and used most of the same sets including the Paris Opera House. At the end of the film is the scene below. The phantom is dead, or is he? It takes many times to pick up an action partly edited out of the release print, but still remains. The rubble slightly begins to move. There was suppose to be a planned sequel to "The Phantom of the Opera" and the movement was a signal to the audience that Erique Claudin was still alive. All three actors were to return, but there was both script problems and the availability of using Claude Rains became an issue. The sequel was cancelled and Universal decided to remake with significant changes the 1930 "The Climax" instead. The screenplay for the sequel of "The Phantom of the Opera" in progress was turned over to Curt Siodmak to change into a new story line. Siodmak was an excellent choice. He had written 1940's "The Wolfman" creating the famous "Even a man who says his prays at night" legend. Siodmak also wrote the screenplays in 1943 for "Son of Dracula", "Frankenstein Meets the Wolfman", which was a result of a lunchroom joke, and Val Lewton's "I Walked with a Zombie". The new film starred Susanna Foster, Boris Karloff and "B" movie heart throb Turhan Bey. Susana Foster played a young opera singer, Angela Klatt, very much patterned after Christine from "The Phantom of the Opera". Boris Karloff played Dr, Frederich Hohner the doctor for an Opera House and Turhan Bey played Franz Munzer the hero and love interest for Foster. ---especially with Mr. Karloff , who menaces most disturbingly. He, in this case, is the trusted physician for an old European opera house---you know, one of those plush palaces with marble halls and sparkling chandeliers---and his only apparent imperfection is that he is homicidally mad. This link will take my reader to the full review. Sound familiar? An opera house, a menacing figure and a beautiful girl wanting to become an Opera Star? This little gem from Republic Pictures is one of my favorite all time vampire movies. When I first saw it on television many years ago I actually thought the plot could be described, somewhat, as "Casablanca Meets Dracula", if you could picture Rick as a vampire. Of course that wouldn't be to hard as Humphrey Bogart had played the brought back from the dead Dr. Maurice Xavier in Warner Brothers 1939 "The Return of Dr. X". It is because this 58 minute motion picture came from Republic Pictures that I think I like it. "The Vampire's Ghost" was made at the height of Republic's chapter serials production. The previous year had seen five serials with titles such as "Zorro's Black Whip", "Captain America" and "The Masked Marvel". 1945 would see the likes of "Manhunt of Mystery Island" and the classic "The Purple Monster Strikes" starring Roy Barcroft from "The Vampire's Ghost". Unlike the writers for "The Undying Monster" attempting to put a 229 page novel into 60 minutes. The writers at Republic were used to telling major story lines in small sections for the serials running about 10 to 12 minutes each on average. So a 60 minute motion picture screenplay was breathing room. What was more important to why I enjoyed this film was who wrote the original story treatment and was the co-screenwriter on "The Vampire's Ghost". Her name was Leigh Brackett and she would earn the writing title of "Queen of Space Opera". Brackett wrote and published short science fiction stories for 15 years from 1940 through 1955. Along with Detective fiction and a few novels, but as far as screenplay work went besides "The Vampire's Ghost". You will find her name on Howard Hawks' 1945 "The Big Sleep" starring Humphrey Bogart and his wife Lauren Bacall. On Howard Hawks's 1959 western "Rio Bravo" starring John Wayne, Dean Martin, Ricky Nelson, Walter Brennan and Angie Dickinson. Leigh Brackett delivered the original first draft screen play to George Lucas for "The Empire Strikes Back" just before her death in 1978. That version was disliked by Lucas and two more drafts by other writers were commissioned, but it is obvious to those familiar with Brackett's work that sections and dialogue in the final draft were her's. Leigh Brackett obviously did research on vampires for her story, because she stayed away from the Bram Stoker vampire. In 1945 Universal Studio had John Carradine on the screen for the second time in formula as Dracula (Count Latos) in "House of Dracula". but Brackett would give here audience Webb Fallon played by British actor John Abbott. Prior to the start of World War 2 John Abbott appeared in British motion pictures and was a member of the distinguished British Shakespearean group "The Old Vic Company". He appeared with them in Denmark playing Claudius the evil uncle of "Hamlet". Also in that production were Lawrence Olivier, Vivian Leigh and Alec Guinness. At the start of the Second World War the actor worked at the British Embassy in Moscow and when Hitler started his move on Russia. 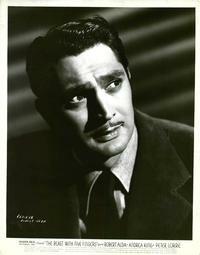 John Abbott left for the United States and became an actor in films here. His film career would last into 1983. Leigh Brackett's tale takes the viewer to the town of Bakunda on the west coast in Africa. A string of murders have started with the victim's having been drained of blood. Plantation owner Roy Hendrick (Charles Gordon) is having problems with his native workers and comes to town to find out if anyone knows what's going on. In Bakunda Henrick meets with Tom Vance (Emmett Vogan) the father of his fiancee Julie (Peggy Stewart) and a Catholic Priest Father Gilchrist (Grant Withers). After a discussion Roy says he wants to talk to Webb Fallon who is knowledgeable about the local underworld that the group think may be behind the murders. Before the story concludes Leigh Brackett will have involved the viewer with African superstitions, a hunt in the jungle to rescue Julie and a lost city of the dead. While she gives her audience a vampire who was cursed fighting the Spanish Armada for England 400 years earlier and can walk in sunlight wearing dark glasses, eat normal food and unlike the vampires audiences were seeing from Universal and Columbia Pictures drink wine and other spirits. Brackett's vampire still does not cast a shadow in the mirror and there is a great scene relating to that in the picture. Also Webb Fallon does not need to sleep in a coffin, but has a trick of his own to get around that. The vampire Brackett and Abbott create is one that blends into the local community without suspicion. By owning the local bar where the ships crews come for entertainment and gambling, It's at that bar that he has a run in with Captain Jim Barrett played by the aforementioned Roy Barcroft. Leigh Brackett's story of "The Vampire's Ghost" is available on line as of the writing on my blog article. Curt Siodmak is back adapting William Dryer (W.F.) Harvey's 1928 short story "The Beast with Five Fingers" into a thriller/horror screenplay for Warner Brothers Studio. While 20th Century Fox made only one other horror film "Dr. Renault's Secret", besides "The Undying Monster", at the start of the 1940's in a failed attempt to compete with Universal International's dominance of horror. "The Beast with Five Fingers" was the only horror film made by Warner Brothers in that entire decade. They would make the aforementioned "Casablanca" and "The Big Sleep" style motion pictures instead and the other studio's couldn't compete in those genres with them. "The Beast with Five Fingers" revolves around famed pianist Francis Ingram who has had a stroke paralyzing his right side. He is semi-wheel chair bound. Someone has been poisoning Ingram's food and he begins to hallucinate. One night he gets out of bed, gets in his wheelchair and leaves his room. At the top of a large staircase he calls out for his Nurse Julie Holden, but she never comes. The chair moves slightly and Francis Ingram falls down the flight of stairs and is killed. Was it an accident he caused, or did somebody push him? The event in any case leads to his Will and who gets the bulk of his inheritance. Two people named in the original Will Ingram's sister's son Donald Arlington and a musicologist and amateur astrologist Hillary Cummins have been cut out of Ingrams's new Will. The bulk of his estate now goes to his Nurse Julie Holden. Who is in love with Francis Ingram's close friend Bruce Conrad. This all sounds like a normal story line of a group of people fighting over an inheritance, but when Ingram's attorney is strangled to death, Ingram is heard playing his piano and when the group goes to see if his body is still in the coffin. They discover the corpse has a hand cut off. Then the hand is seen crawling around the house. Curt Siodmak's screenplay has now become a psychological tale of terror. Playing Bruce Conrad is actor Robert Alda and yes he is the father of television's Hawkeye Pierce Alan Alda. Playing Julie Holden was Andrea King. Playing Hillary Cummins was Peter Lorre in his last contracted motion picture for Warner Brothers. Some reviewers state that Oliver Stone's 1981 motion picture "The Hand" was a remake of "The Beast with Five Fingers". It is not as "The Hand" according to reviewers was based upon Marc Brandel's 1979 novel "The Lizard's Tail". However, Marc Brandel also wrote a 1955 novel called "The Hand". I could not locate on line any descriptions of these two novels for comparison to either W.F. Harvey's 1928 short story, or Curt Siodmak's 1946 screenplay. "The Beast with Five Fingers" can be found on line as of this writing. The only film of my five that is not available at this time, on line, is Universal Studio's "The Climax". Although the quality of these films on the Internet may not always be very good, if my recommendation means anything to my reader. I know you will enjoy these forgotten and overlooked motion pictures.